Why Bother with Italian Bubbles? What really is the point of Italian sparkling wine? I mean that sincerely. What is the point? As you all know, I am a self-admitted bubble hound (after all my motto is “If it doesn’t sparkle it doesn’t matter”), but I have never really understood why anyone in the entire country of Italy even bothers to try to capture bubbles in a bottle. I would guess that many of the sommeliers who read this blog (wait, are there any somms reading this? ), are all up in arms since Franciacorta is nearly every somm’s darling go-to sparkler. Those irrepressible wine professionals love to foist the latest, the “greatest,” and above all “obscure” wines upon their hapless horde. Until relatively recently, almost everyone in the United States had never heard of Franciacorta (and even fewer could actually pronounce it). The same is essentially true for the other region that produces traditional method wines (by the way, it is no longer called “méthode champenoise” and it was never called “méthode champen-WHAH”), the Trento DOC. Sure, most people had seen Trento DOC’s most prominent producer (which has the same name as an expensive, usually red, but always fast Italian car), but the cost of that wine is usually comparable to bottles of champagne, and well, who would not just buy a bottle of the “real” stuff if the price were essentially the same? Then there is the case of Prosecco. Perhaps there is no wine in the world that is more “hip” right now than Prosecco. Why? I have no idea. There are three basic types of Prosecco: the overly sweet, the overly nutty and acrid, and the worst of all, a combination of the first two. So when it comes to Italian sparkling wines, I am at a complete loss. Why bother? Well, that is how I used to feel (more or less). As many of you know, I have been in Italy for the better part of two weeks, and while I came over expecting to learn a lot about several Northern Italian wine regions, I was really not ready for what ended up happening. I fell in love with Italian bubbles. Before I go any further, I will once again profess my undying devotion to Champagne and its wines, but I have been having a bit of an affair recently with these perky Italians with their tight little bubbles and racy attitudes that have certainly carved out a space in one of the atria of my heart. The first encounter that planted the seed was back in May with the delightful Silvia Franco of Nino Franco in Valdobbiadene, who presented three of the company’s Proseccos. I considered my fondness for her wines to be a mere flirtation, as it was just one fantastic producer in a sea of mediocrity (or so I thought). And, well, Silvia is pretty darned cute, which might have played a role. Then, in June, I attended a Franciacorta seminar in New York hosted by my fellow Houstonian, Jeremy Parzen, author of (among the multitude) the highly regarded Do Bianchi blog. (Hopefully, I will have more up about that tasting soon.) The dozen or so wines we tasted that day were outstanding and while I am very far from being an expert (heck, I am not even a “novice” yet), I will definitely be hopefully trying a lot more Franciacorta. Jeremy Parzen (standing on the right) and, interestingly, Rachel Signer (seated with eyeglasses) who would be on my trip to Oregon. Just a few of the bottles of Franciacorta that we tasted. The torrid affair continued through the sweltering summer when I received a sample of 2013 Rotari Rosé. The winery sent me the bottle in anticipation of my trip there a few weeks later. The Rotari Rosé wine was both voluptuous and tantalizing, immediately grabbing my attention; the wine was particularly captivating (and at $18, so was the price!). Then I came on this press trip. While I did not touch much Franciacorta, I certainly delved more deeply into the other two. I spent three days in the Trentino region along the Adige river and the area is simply stunning. Incredible mountains shooting straight out of the valley, with vines on just about every available acre in between. Really breathtaking. One of our lunches was on beautiful Lago di Caldonazzo. It was not until the last day of the brief three-day trip that we had our first sip of any sparkling. Luckily, it was not until well into the evening when we finally stopped. Rotari is just getting into the U.S. market, starting with three solid sparkling wines: the aforementioned vintage Rosé as well as a vintage Brut (both will be around $18-20 and both are easily worth the cost), and their prestige bottling, Flavio (which will run $30-35 and is really impressive). I can say without hesitation or equivocation that all three are stellar and any fan of bubbles should be on the look-out. After the press trip, I added on another week or so, sight-seeing a bit with my lovely wife who came over for her birthday. One of the stops was to visit Silvia Franco in Valdobbiadene. Silvia took us for a tour of a few of the vineyards near the winery and it really was unbelievable. Before heading there, I had this vision (for some reason) that the area was flat and the vines grew abundantly in the valley. While that might be true for DOC wines, Silvia told us, it is certainly not the case for the DOCG. Valdobbiadene and its neighboring villages are surrounded by hills and practically each one of them is covered with vines. I really have never seen anything like it. The pictures do not really capture the severity of the slopes. I found myself uttering “Wow, just wow” repeatedly. The following day, we went back to the winery where we tasted through a dozen or so Proseccos, including a few with some age on them (including a 2003 Primo Franco that was sublime). We went through close to a dozen different wines at Nino Franco. I plan on writing more on these visits soon, but for now, I have been to wine regions all over the U.S. and Europe and I can say this without any hesitation: none have taken my breath away like Trentino and Valdobbiadene. This entry was posted in Franciacorta, Glera, Prosecco, Trento DOC, Wine. Bookmark the permalink. 19 Responses to Why Bother with Italian Bubbles? In my experience a few uninspired wines can alter the image of an entire region (or genre). I’d agree–and a lot of that is a function of how wine distribution works here. Us folks fortunate enough to get to travel and experience the real thing in its native environment can find wines that Joe Blow Distributor doesn’t quite know how to market in the US. And then there is Ferrari Trento….. I hinted about that wine in the piece (red sports car). Whoa, indeed. So glad you found joy in Italian bubbles! Hey hey, life is good. I’m a fan too… thanks for sharing the goodness with all of us. Great stuff here! Mark Twain famously quipped travel was fatal to bigotry, prejudice, and ignorance. It is also quite the potent remedy for bias against Italian whites, bubbly and otherwise. And wait til they discover the less heralded but equally wonderful spumante metodo classico coming from Piemonte. 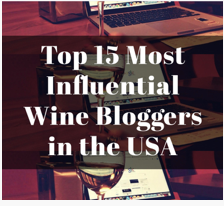 Well, in defense of winebloggers, I think the majority of Italian whites (and sparklers) that have reached these shores have been less than inspiring until recently. Perhaps they had been keeping the good wines for themselves or maybe there has been a noted increase in quality. Either way, I have really enjoyed tasting through some fabulous Italian wines recently! Oh, there’s definitely something to that–for far too long unless you were really, really digging, your options were really very much limited to plonkish stuff that the Italians themselves weren’t going to drink; Italian whites were viewed by distributors as more or less placeholders, where their job was stocking shelves with 1.5L jugs of mass produced swill without regard to giving you the “real” taste of a place. Small producers, the ones making the impressive but lower volume stuff folks like us enjoy, get crowded out in this model, and the only way you were going to get to experience the “real deal” was getting on a plane. Great points all! Let’s hope the recent trend continues…. Gorgeous scenery! Can’t wait to hit up Italy next year for the first time EVER (which is still shocking, even to me). Glad you had a good trip! Both Trentino and Valdobbiadene are stunningly beautiful. Will be there in a couple weeks…yes!